March Remix Tag - "Always be on the Lookout"
It's that time of the month for my March "Tim Tag" which I have finished just in time. I'm excited as I have now completed three months in a row!! This year for Tim's 12 tags, it's all about remixing past techniques and combining them together with other techniques that he has shared over the past years. 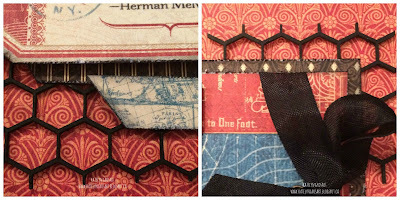 This month's tag features the Textured Surface and Dimensional Dies Technique. This month I played with a variety of new products and older products from Tim Holtz to create my tag. 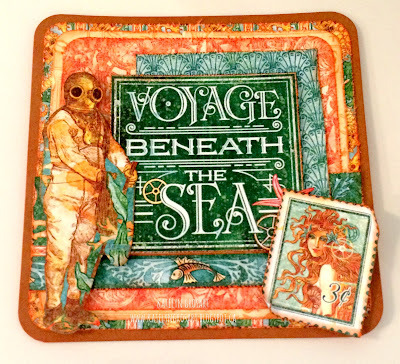 I created the coloured effect on the cardboard tag piece my spritzing Black Soot, Abandoned Coral, Twisted Citron, Mermaid Lagoon and Picket Fence Distress Spray Stains. The colours I chose gave the cardboard tag piece a spring feel. 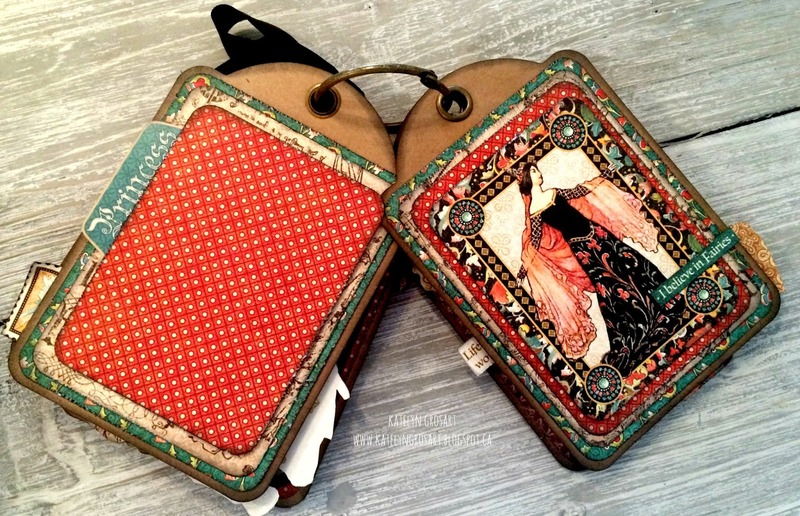 To get my Butterfly image on the cardboard piece, I used the Detailed Butterflies die. For the die cut images behind the butterfly, I used the Mixed Media Die from Tim Holtz. 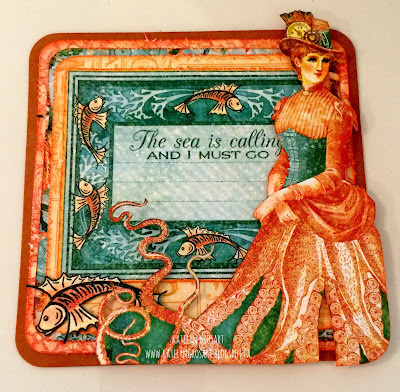 I coloured the entire tag that had the die cut images using Mermaid Lagoon, Twisted Citron, Picked Raspberry and Mustard Distress Crayons blending them together with my fingers. To give my Quote band a bit of life, I took my Picket Fence Distress Crayon and rubbed it overtop of the quote. Once I was happy with the amount of crayon on my quote, I rubbed a bit off with my finger to give it a bit of a distressed look. To adhered my quote to my tag, I ran a piece of Linen Ribbon through and then stapled it with my Tiny Attacher on either side. The final touches I added to my tag were the Heirloom roses in the bottom right and top right corners and the black ribbon bow at the top of the tag. 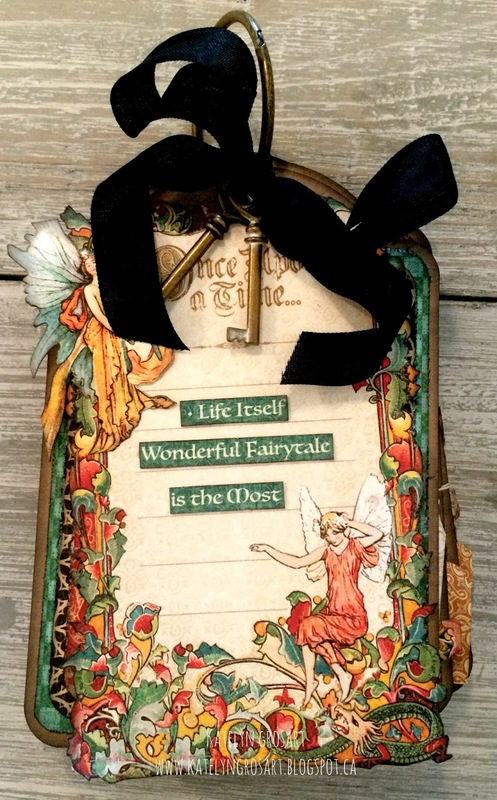 -Ranger/Tim Holtz: Picket Fence Distress Spray Stain, Mermaid Lagoon Distress Spray Stain, Twisted Citron Distress Spray Stain, Adbandoned Coral Distress Spray Stain, Black Soot Distres Spray Stain, Distress Crayons Set #1, Distress Crayons Set #3. I'm back on the Southern Ridge Trading Company blog today featuring a beautiful "Adventure" scrapbook layout featuring a photo of myself when I graduated in 2010. I thought that the "Adventure" word would be the perfect word for the picture. Make sure to check out our current Monthly Challenge which features anything Easter as there is only two days left to enter. 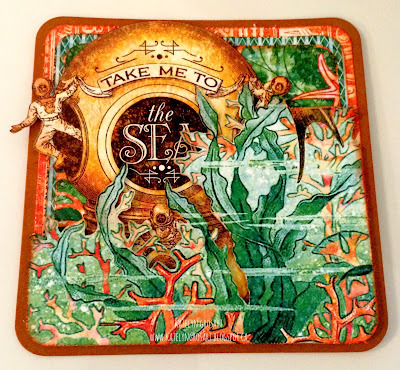 If you haven't added your project yet, you still have time to add your link to your piece. 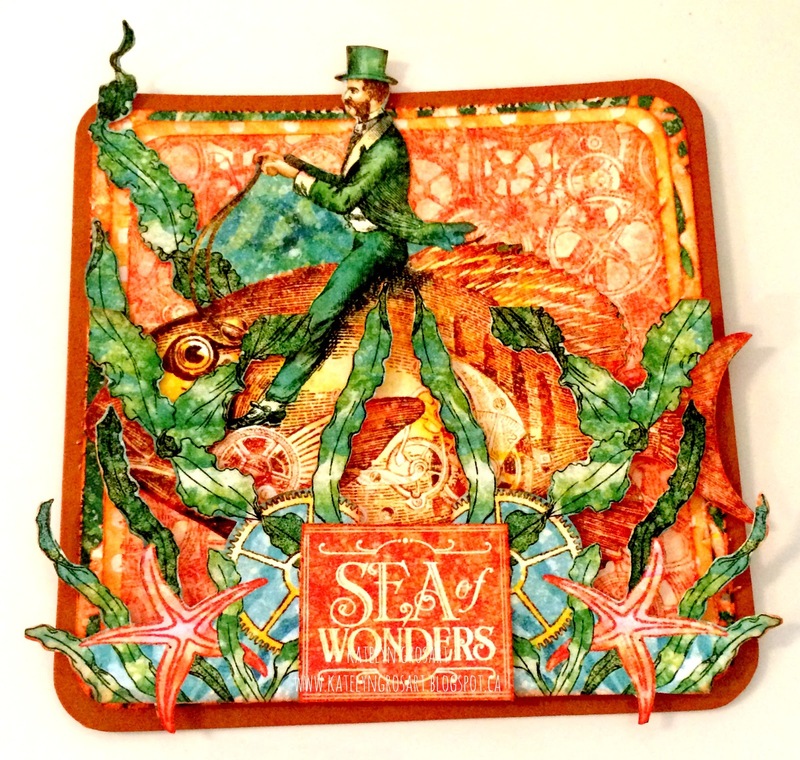 To view all the details about the Monthly Challenge and how to enter, head over here. 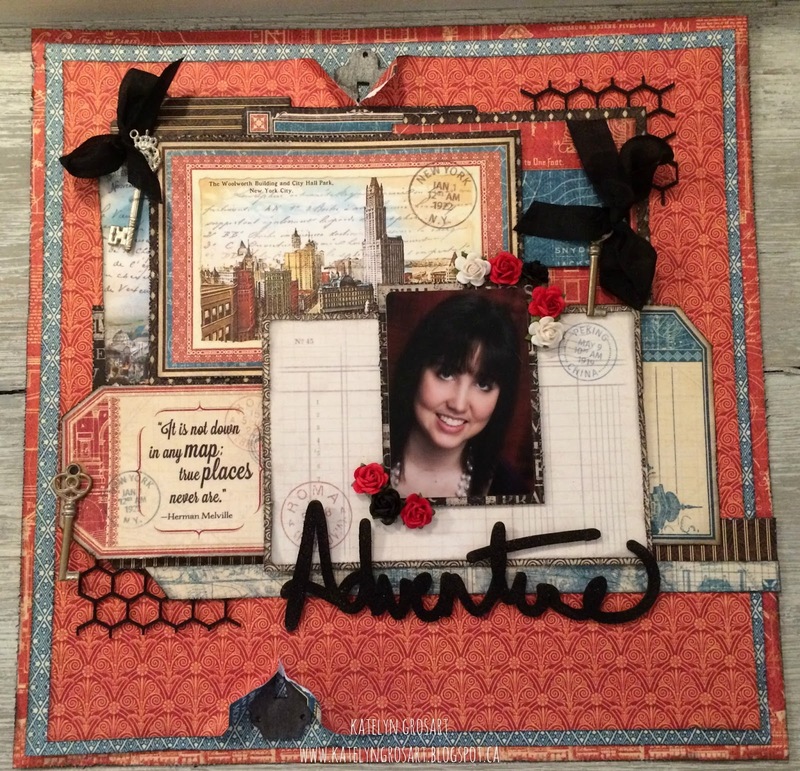 With that, I'm excited to share my "Adventure" scrapbook layout, so that you can create it at home. 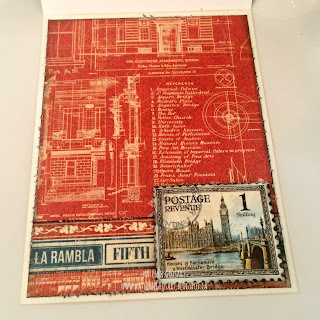 To start my layout, I needed to get my chipboard pieces ready. The first set of chipboard pieces I worked on were the keyholes. I applied a layer of Black Soot Distress Ink over the entire surface of each of the keyholes. 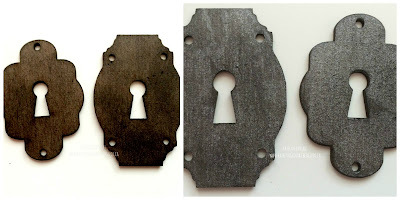 Once I was happy with the coverage, I applied a layer of Brushed Pewter Distress Stain over top of each keyhole. Before the stain dried on both keyholes, I wiped some of the stain off with a piece of paper towel. 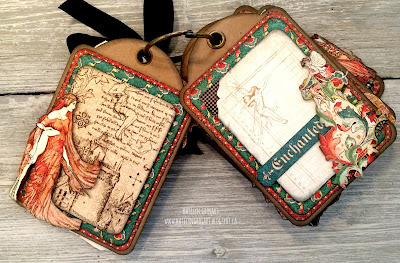 The next set of chipboard pieces I used were the Plain Tags. 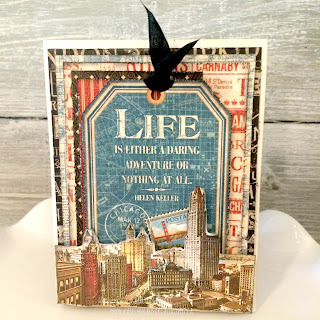 I took some of the Graphic 45 "Cityscapes" paper that I used on the rest of the layout and covered two of the plain tags. 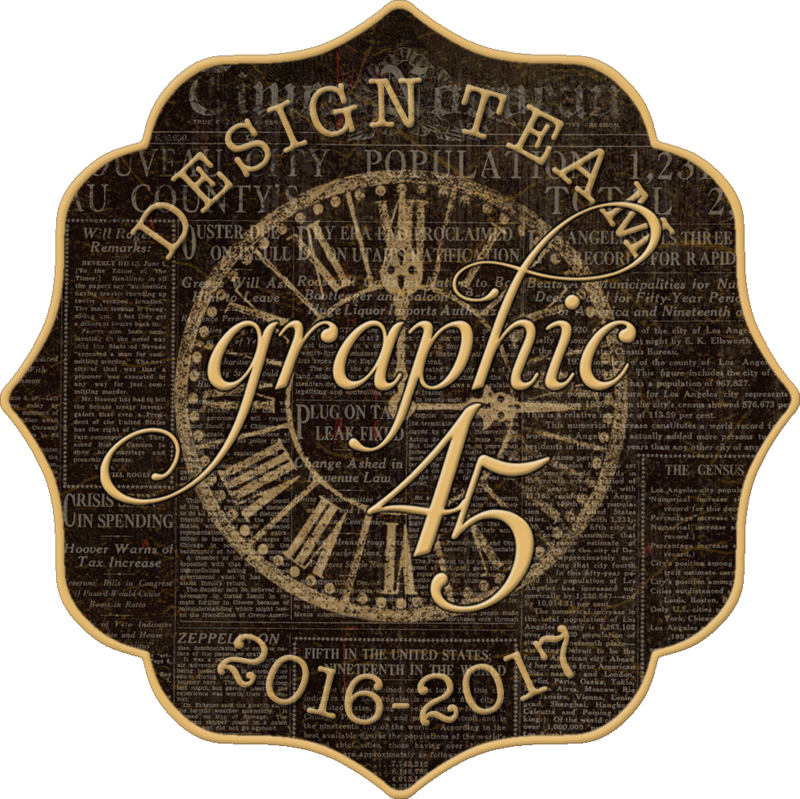 I also added a black bow to the tag and an ornate key from Graphic 45. 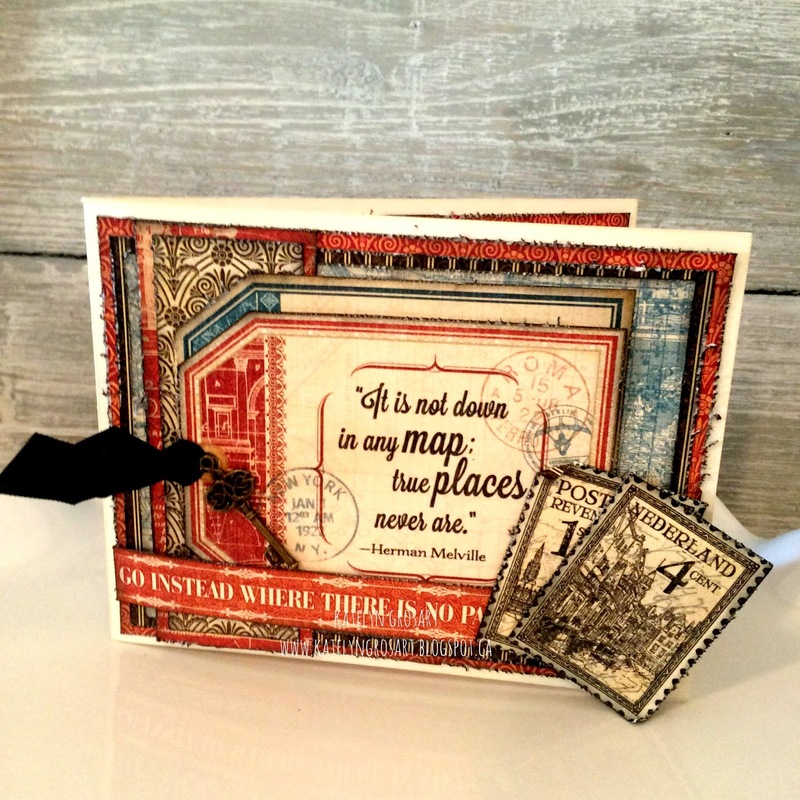 The next piece I used on my layout was the Adventure Word. I covered the Adventure word in a layer of Black soot Distress Ink and then sprinkled on a layer of Onyx Frost Embossing Powder overtop. 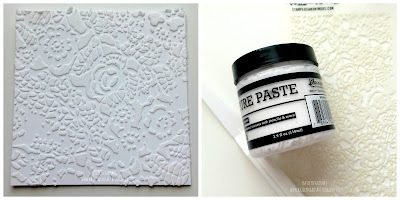 Once the embossing powder covered the entire word, I embossed it with my heat tool. 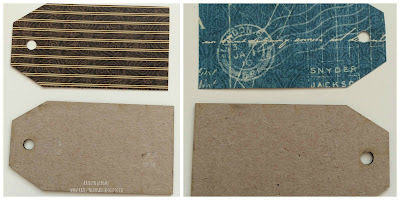 The last set of chipboard pieces I used was the Honeycomb Pattern and cut it up into smaller pieces for two corners of my layout. 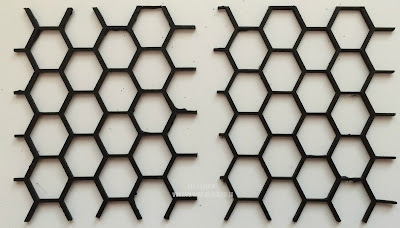 I didn't want to leave the honeycomb pattern in it's raw chipboard form, so I painted them with a layer of Black Gesso. Once the chipboard pieces were done, I placed each of the keyholes in the ripped areas on my layout, only showing half of them. 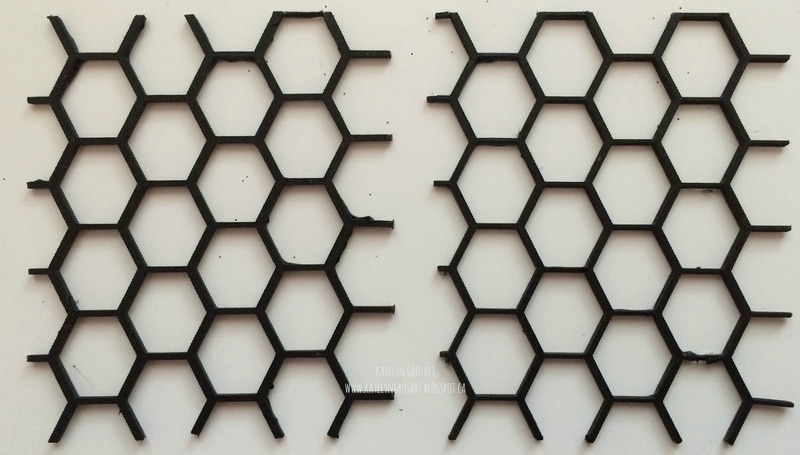 Before I started layering the Graphic 45 "Cityscapes" onto my layout, I figured out where I wanted my honeycomb in the top right hand bottom left hand corner. Once I adhered them down, then I could start layering my paper pieces on top. 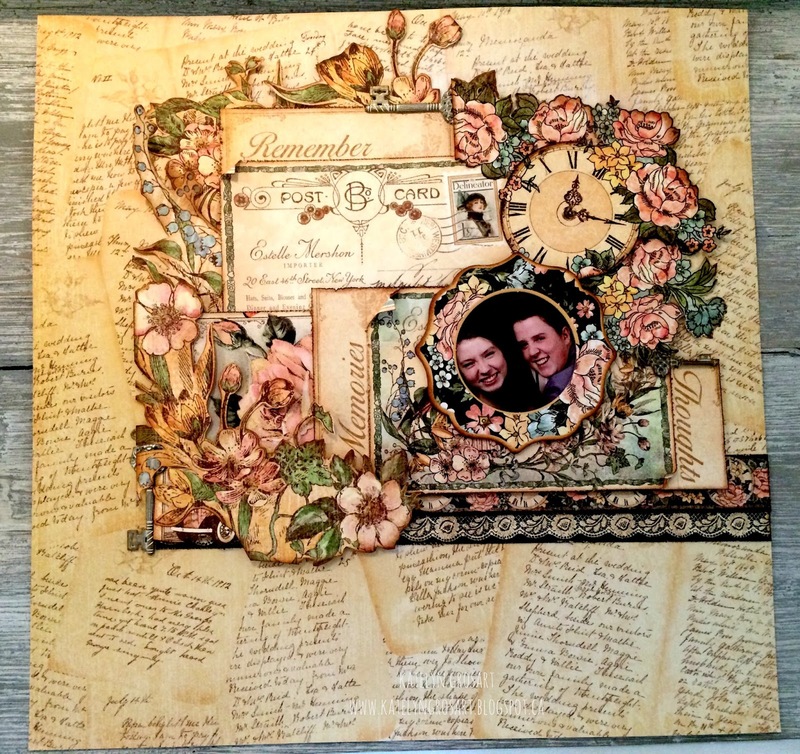 The finishing touches to my layout were adding the flowers around the picture and the "Adventure" word underneath the photo. Here is my layout with all of the chipboard pieces added to it. 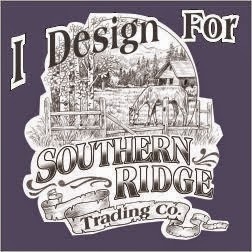 Remember to play along in the monthly challenge over on the Southern Ridge Trading Company blog. Each month enter for your chance to win 4 designs from the online store - chipboard.ca -$20 (before tax) retail value of YOUR OWN CHOOSING! It's time for a brand new challenge on the Emerald Creek Dares blog, featuring "Easter". When we received this challenge I was stumped as I don't normally create Easter projects of any kind, so I was definitely up for the challenge. 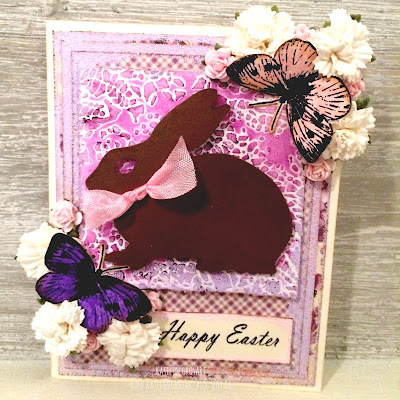 For my project I decided that I would create a fun Easter card and show you how I created it, so that you can make it at home. Make sure that you read the entire post as there is a fun surprise at the bottom! 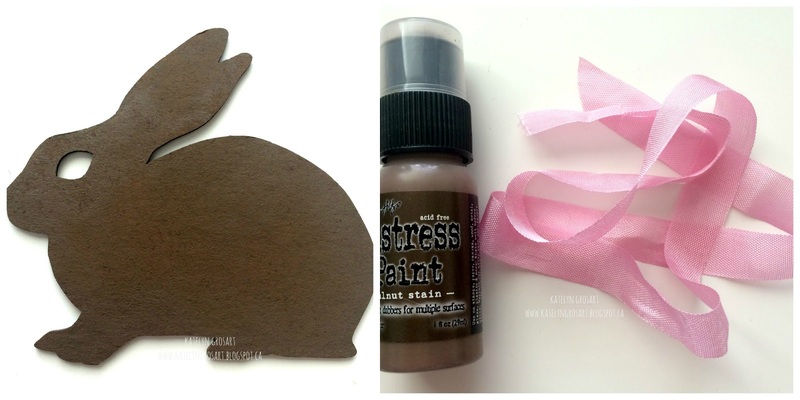 So lets get started on how you can create my Easter Card at home. 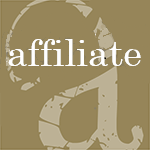 To start my card, I first needed to create my cardbase. 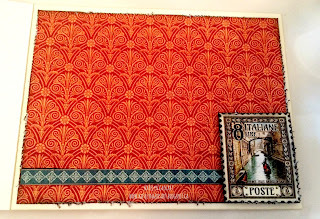 To create my card base, I trimmed a piece of 100lb White Cardstock to 5 1/2" x 8 1/2" and scored it at 4 1/4". 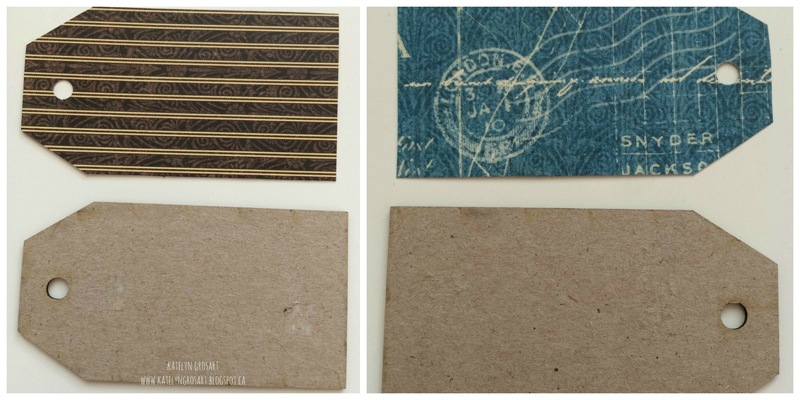 Once the score line was scored, I folded the piece of cardstock in half to create my cardbase. Once the cardbase was scored and folded, I inked 1/4" around the entire front of my card base with Antique Linen Distress Ink. 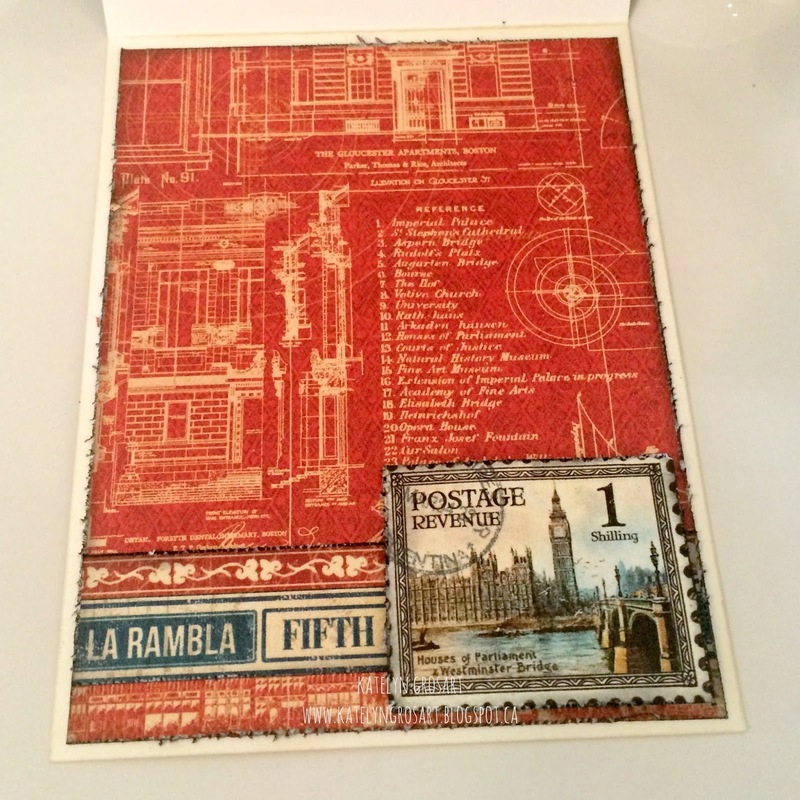 The next step was to trim a piece of 100lb White Cardstock to 3 1/4" x 3 1/4". 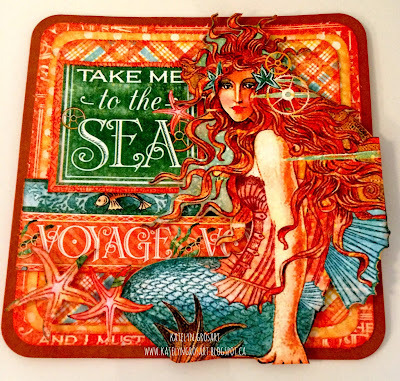 Once the cardstock was cut, I laid my doily stencil over top and applied a thin layer of Texture Paste over top with my palette knife. 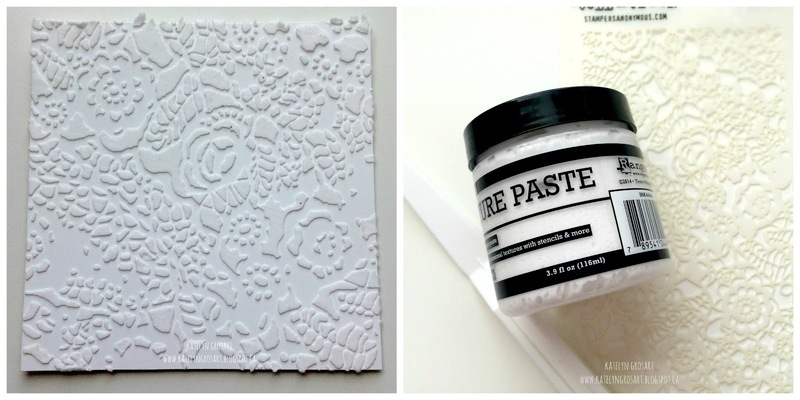 You will want to leave the texture paste to dry for at least 20 minutes. 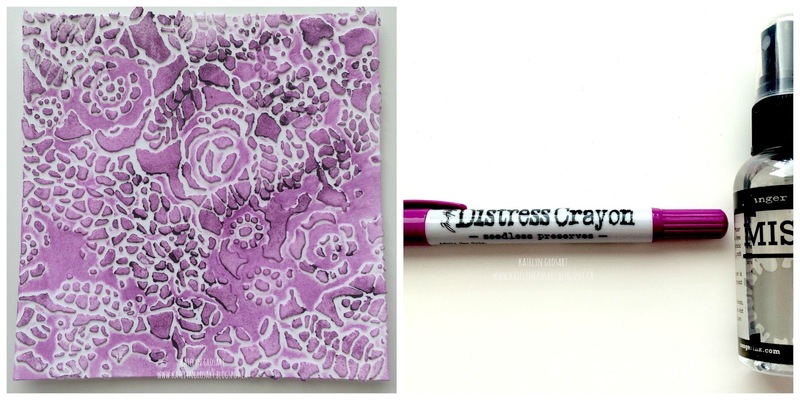 Once the texture paste is dry, apply the Seedless Preserves Distress Crayon overtop of the texture paste, blending it in with your fingers. Once the entire image is coloured, spritz it with a bit of water to give parts of the image a lighter shade of the Seedless Preserves. 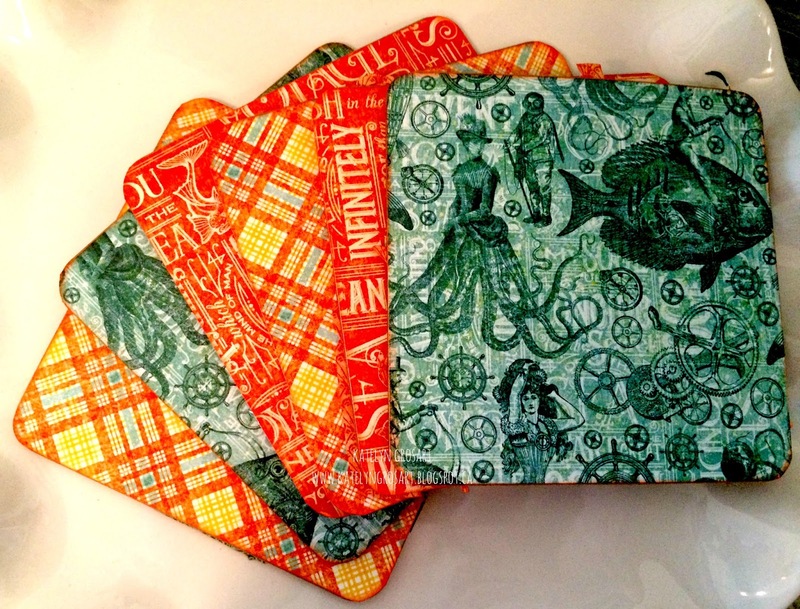 Set coloured image aside to dry. 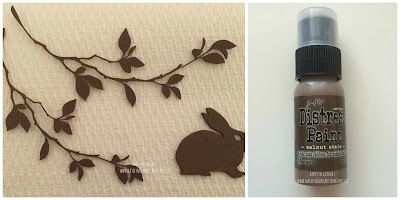 I wanted to add a bunny to the floral background I had just created, so I used a Large Bunny from Southern Ridge Trading Company and painted it with two layers of Walnut Stain Distress Paint. Once the bunny was dry, I added a pink little bow around it's neck. 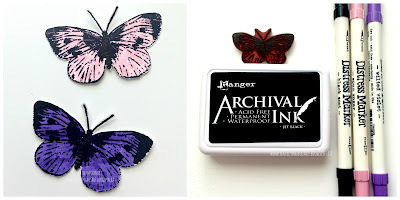 Next I stamped the Large Butterfly with Black Archival Ink on to the 100lb White Cardstock. 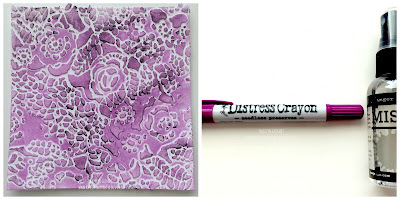 I stamped the butterfly twice and then I coloured them using Wilted Violet, Black Soot and Spun Sugar Distress Markers. Once the butterflies were coloured, I precision cut each one out. 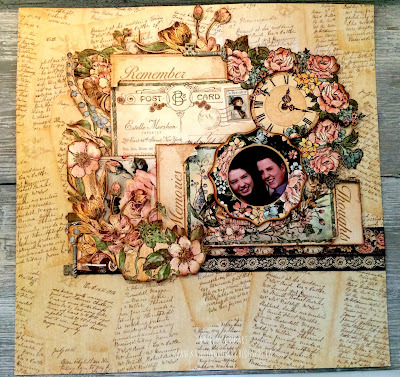 After the butterflies were cut out, I inked around the edges of them with Vintage Photo Distress Ink. 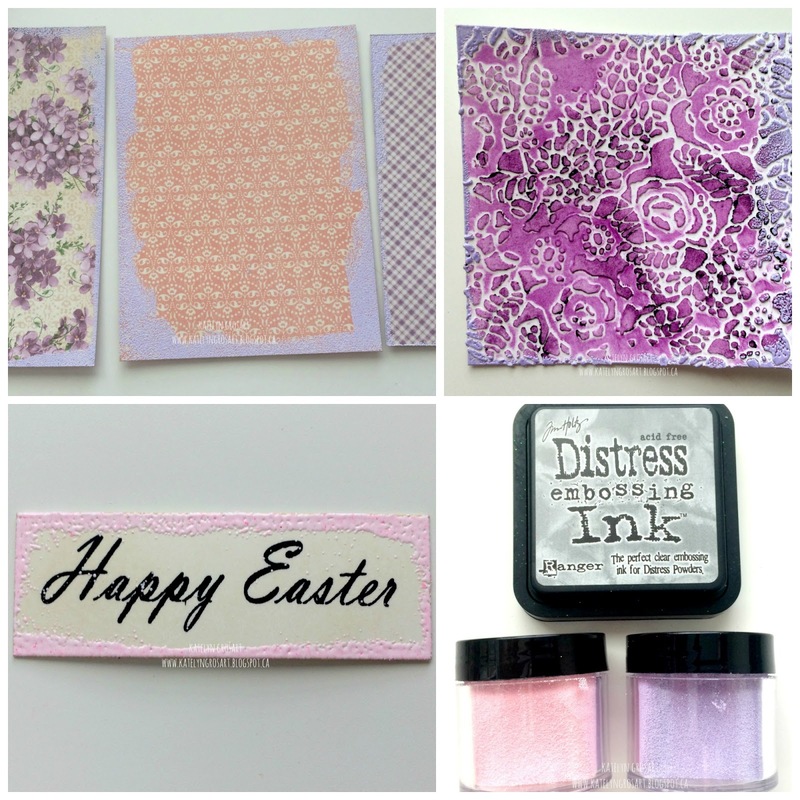 I applied Black Archival ink to my Happy Easter stamp and stamped onto a scrap piece of 100lb White Cardstock. Once the image was stamped, I blended Antique Linen Distress Ink over top of it. 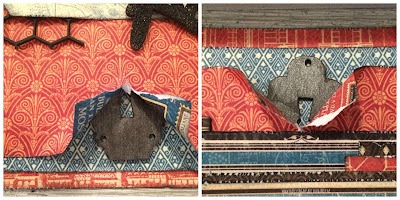 I selected a few patterns from Graphic 45's "Sweet Sentiments" collection and cut them down to fit my card and to be able to layer them on top of one another. 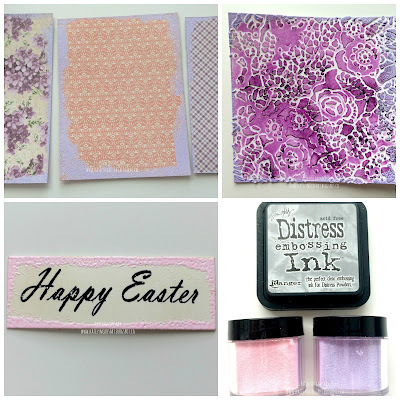 To give a little extra to my patterned papers and my floral coloured background image, I edged each of the papers with Tim Holtz Distress Embossing Ink and then sprinkled Pastel Lilac Embossing powder. 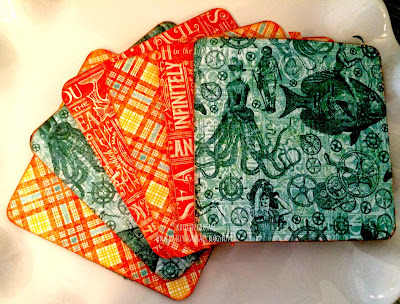 Once all the edges are covered I embossed them with my heat tool and inked the edges with Vintage Photo Distress Ink. 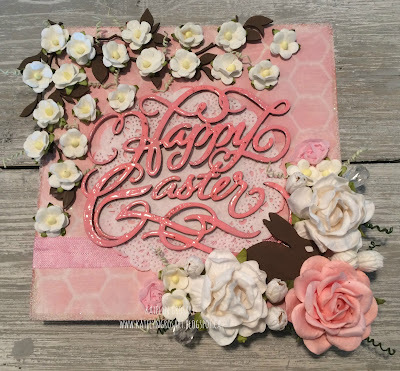 I also wanted to add a highlight to my sentiment so I inked the edges of the Happy Easter sentiment with Tim Holtz Distress Embossing Ink and then sprinkled Pastel Pink Embossing Powder. 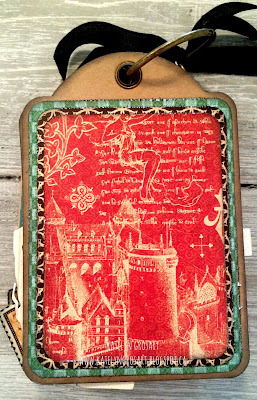 Once all the edges were covered, I embossed it with my heat tool and inked the edges with Vintage Photo Distress Ink. Some finishing touches for my card was adding the 10mm pink roses and white carnations to the corner of the floral background, allowing the butterflies to be the second focal point of the card. For a fun little extra, I created an easter egg for you. 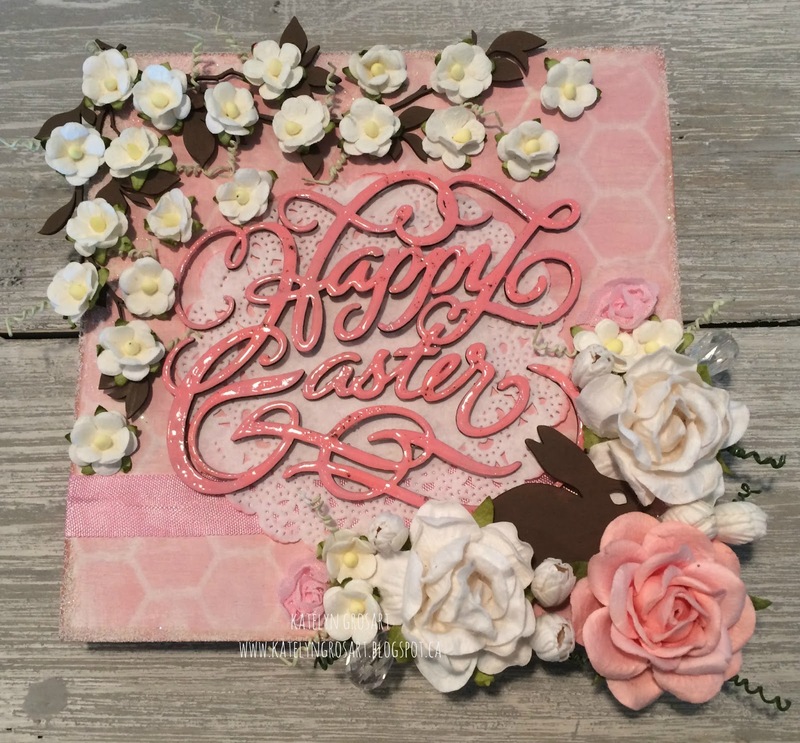 I used an Easter Egg chipboard image from Southern Ridge Trading Company and covered it using Pastel Pink, Pastel Mint and Easter Parade Embossing Powder. 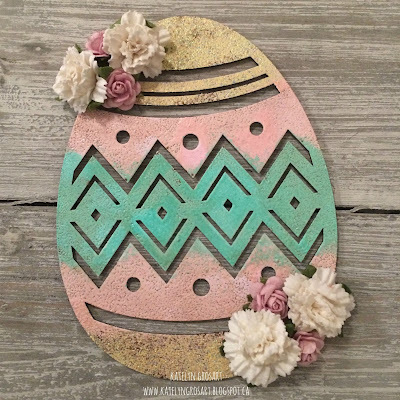 To finish my egg, I went over it with a light layer of Vintage Photo Distress Ink and added some white carnations and 15mm pink roses to the top left and bottom right corner. Thanks for stopping by and checking out my Easter Card. 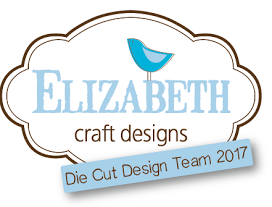 Don't forget to enter your project into our Emerald Creek Dares Challenge for your chance to win a $25.00 gift certificate for the Emerald Creek Store! 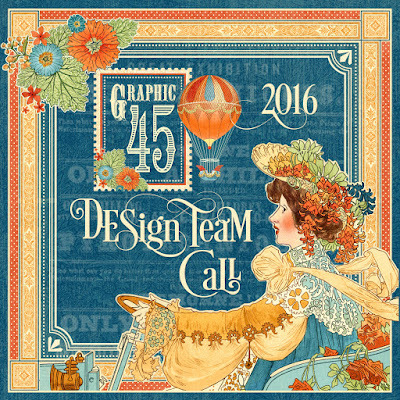 It's that time of year again when Graphic 45 puts out their Design Team Call and this year I decided I would apply for it again this year. 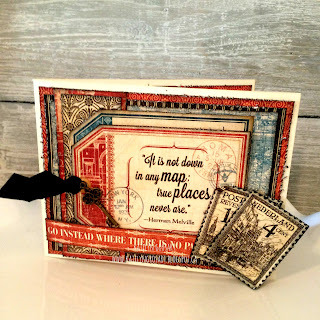 I have created three different projects and one tutorial using some of the beautiful new collections from Graphic 45. As you will see below I have a variety of different projects for you as I enjoy making layouts, cards, mini albums and altered projects. I hope you enjoy my creations! 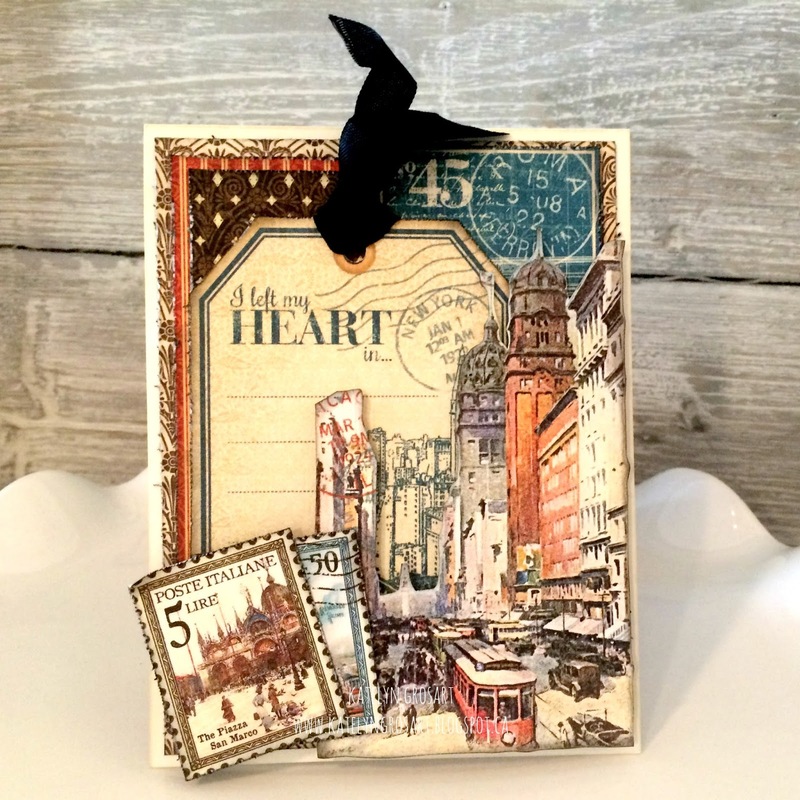 When I saw the CityScapes collection I knew it would be perfect for making a beautiful layered card set. I love how the papers layer beautifully together and the extra elements of the buildings, keys and ribbon tie all of the cards together. 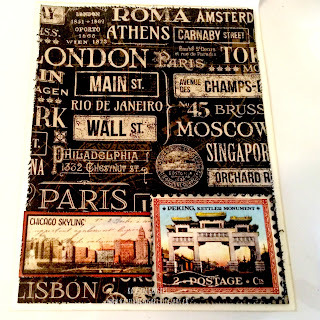 -CityScapes Collection: Cityscapes, Global Odyssey, Well Traveled, Crossroads, Map the Past, Street of Dreams, Passport to the World and Grand Tour. 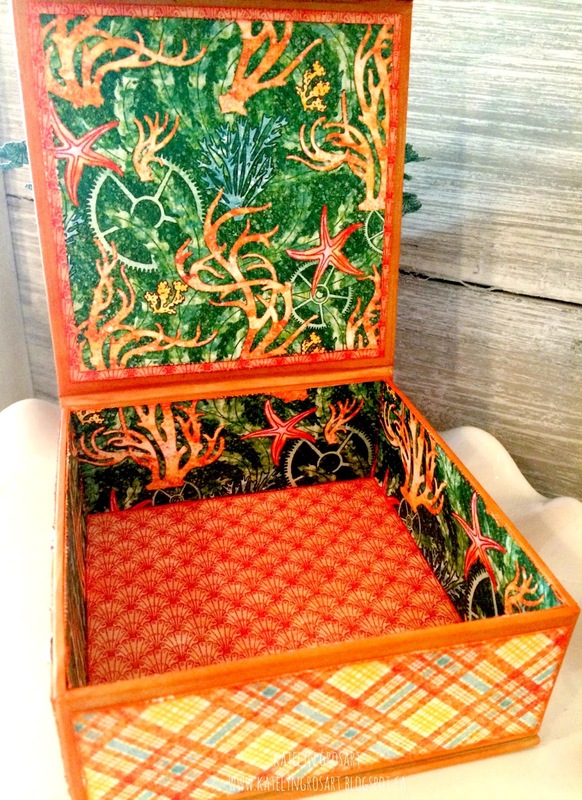 My next project is a beautiful Mixed Media box showing lots of layers. 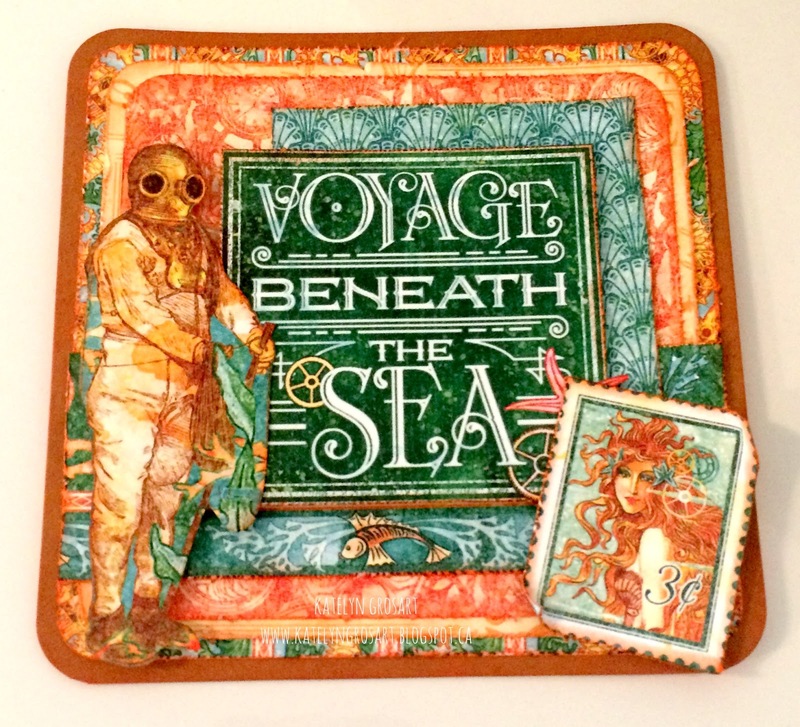 When I saw the Voyage Beneath the Sea collection I knew that it would be perfect for decorating the outside, top, inside as well as the inserts that come in the Kraft Mixed Media Box. 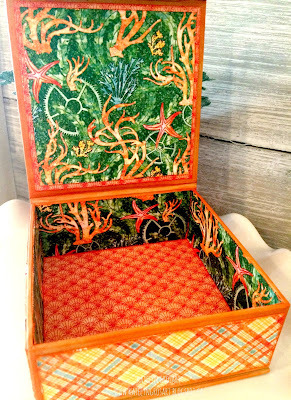 I love everything about this Mixed Media Box that I decorated, especially all of the fussy cut images on the inserts which I added photo mats so that I can add photos to the backs of the insert. My next project is a beautiful layered mini album. 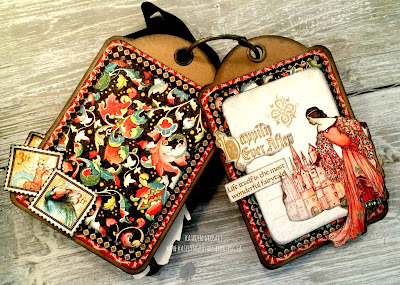 My third project uses the Enchanted Forest collection and I paired it with the Regular Tag Album from the Staples collection which creates a beautiful mini album. My last project has lot of layering and shows my love of layouts. 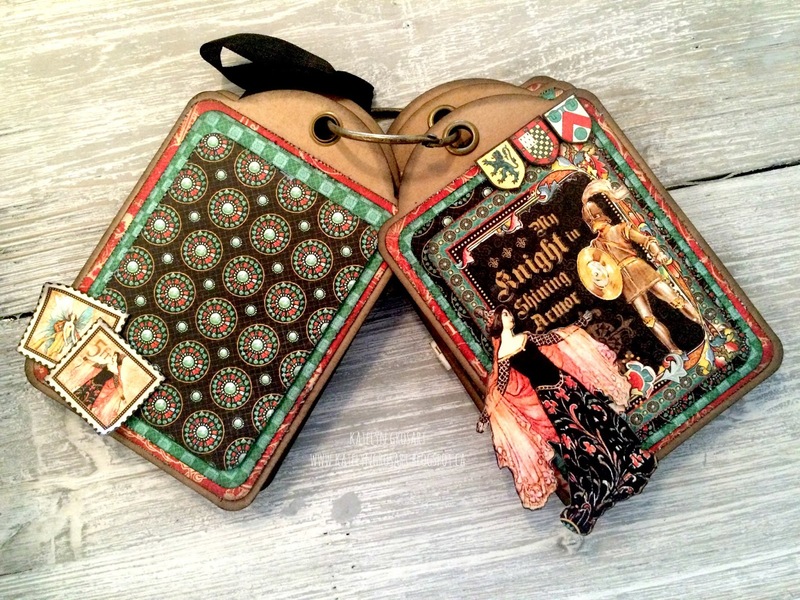 I created a beautiful Mixed Media layout using the Ladies Diary Collectors Edition. 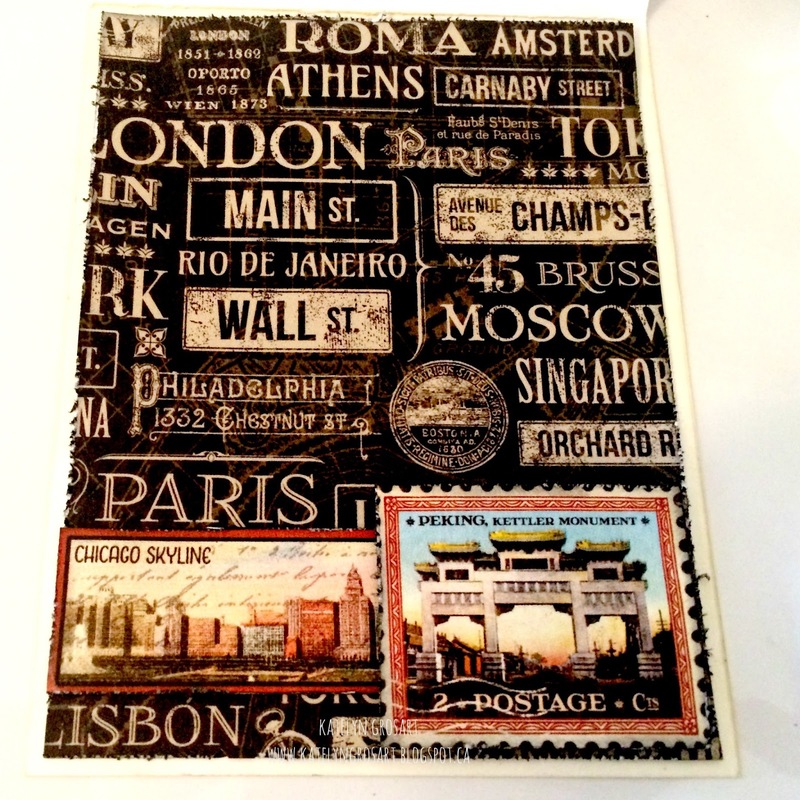 I also combined mixing staples and fussy cut images together. -Ladies Diary Collectors Edition: Delicate Details, A Moment in Time, Lasting Impressions, Ageless Beauty & Ladies Diary. 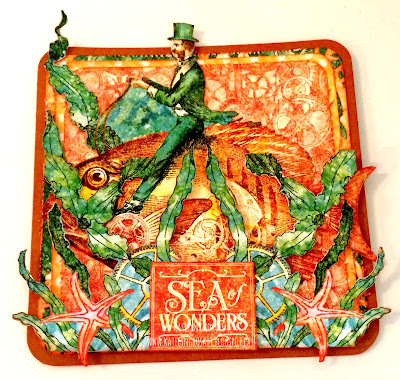 I'm back on my blog today to feature a Mixed Media "Happy Easter" Wood Tray for Southern Ridge Trading Company. 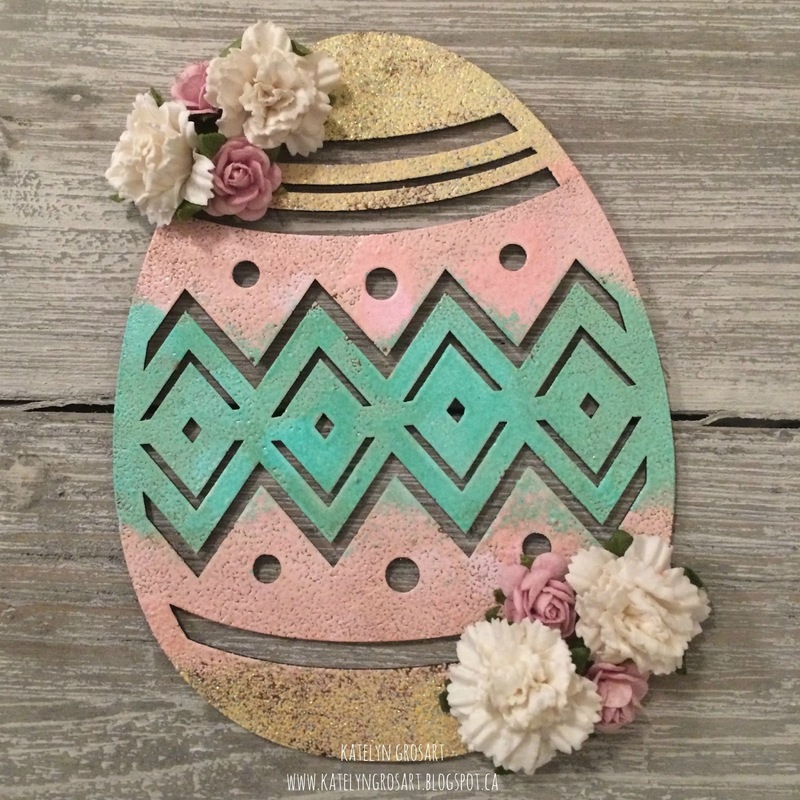 Our Monthly Challenge this month is all about Easter, which gave me the perfect amount of inspiration for my piece. 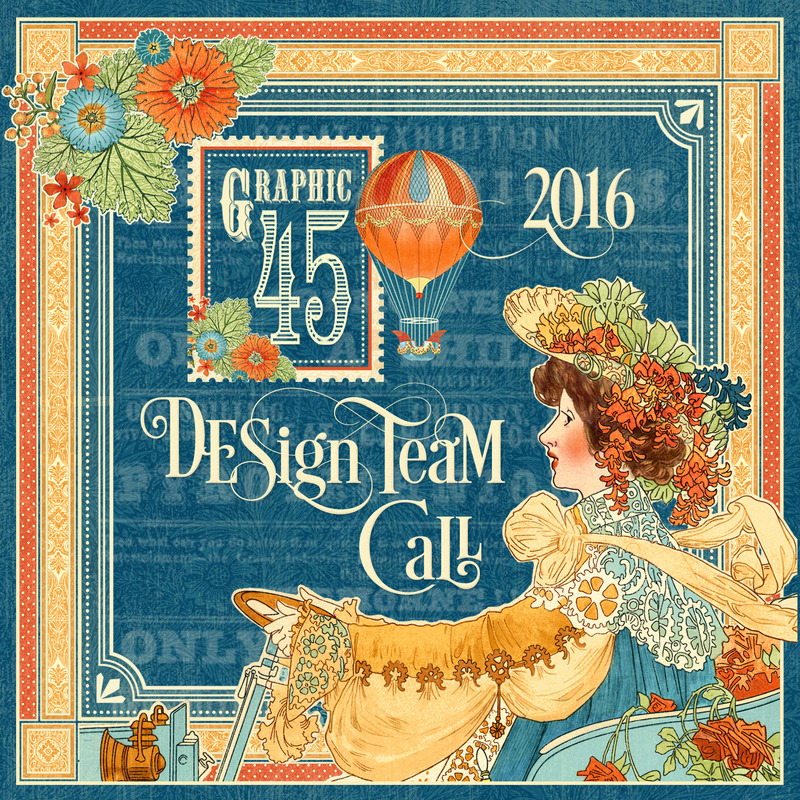 Have you joined in in our Monthly Challenge yet? If not, there is still time to add your link to your piece. To view all the details about the Monthly Challenge and how to enter, head over here. With that, I'm excited to share my "Happy Easter" Wood Tray and how I created it, so that you can create it at home. To start my wood tray, I applied a thin layer of White Gesso randomly over the entire wood tray. 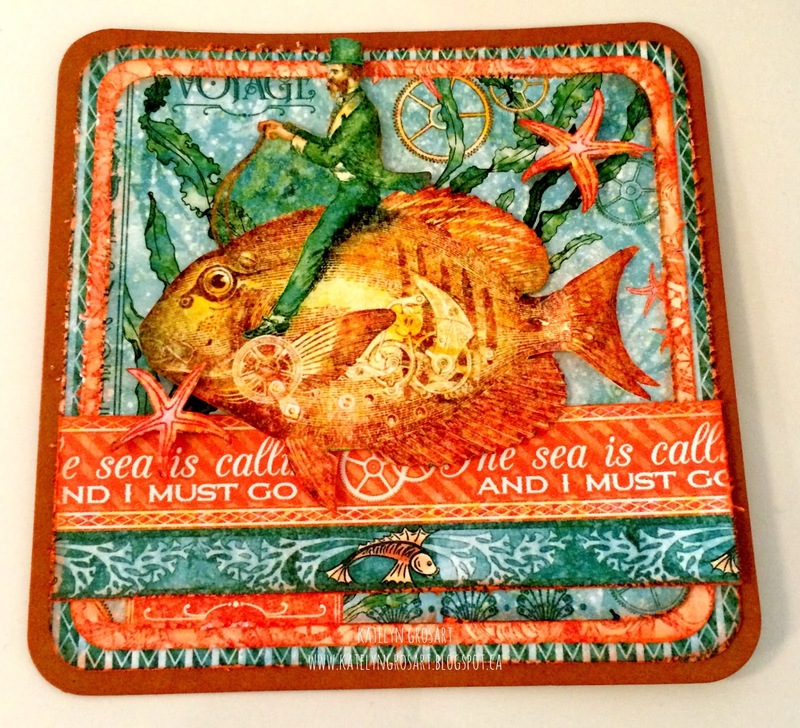 Once the White Gesso dried, I painted a layer of Blush Paint from Paper Artsy over the entire wood tray. Before the pink paint dried, I took a piece of paper towel and removed some of the pink paint to show some of the Gesso. 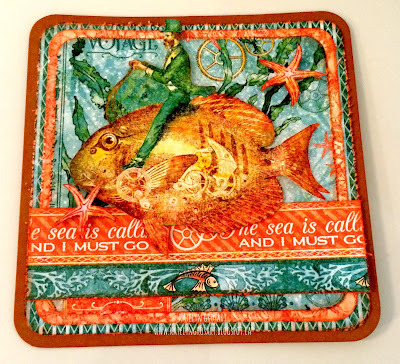 Once the pink paint dried, I placed my chicken wire stencil over top of the entire wood tray and blended Worn Lipstick over top of the stencil. To dry my stencil image, I dried it with a heat tool. Once the stencil image was dry, I took my blending tool and foam and went around the edges of the tray with Vintage Photo Distress Ink. Once the ink was on the edges, I sprinkled Soft Fallen Snow Embossing Powder around the edges and then heat embossed them. 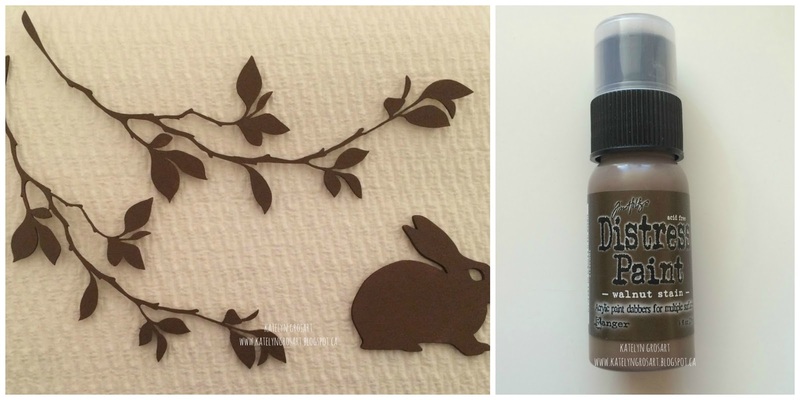 Next it was time to liven up my Leafy Branches and Small Bunny so I covered them in three layers of Walnut Stain Distress Paint. 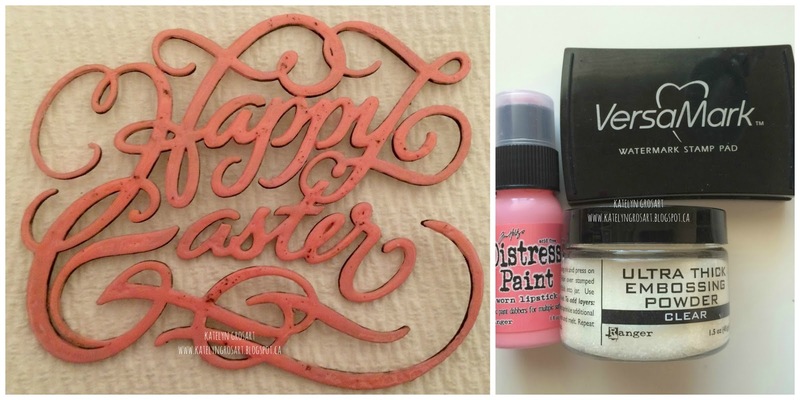 The last piece I wanted to liven up was the Happy Easter Welded Words so I covered the word in three layers of Worn Lipstick Distress Paint. 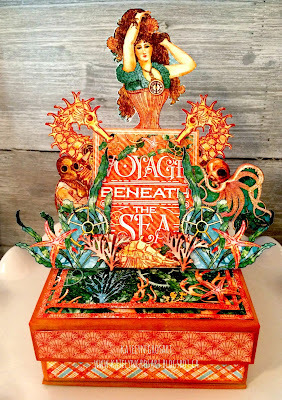 Once the Worn Lipstick Distress Paint was dry, I applied a layer of Versmark and then covered the word with Ultra Thick Embossing Powder in Clear. Once the word was covered with embossing powder, I embossed it with my heat tool. 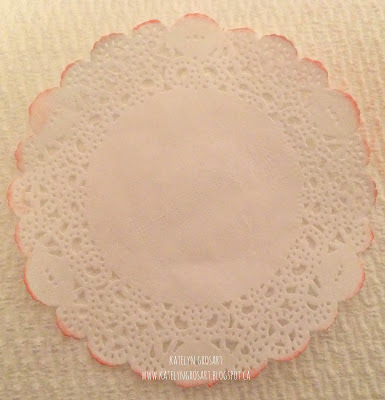 The last piece I prepped for my tray was a small white doily which I inked the edges with Worn Lipstick Distress Ink. Some finishing touches for my layout included adding a variety of pink and white roses as well as white tulips and white flowers. 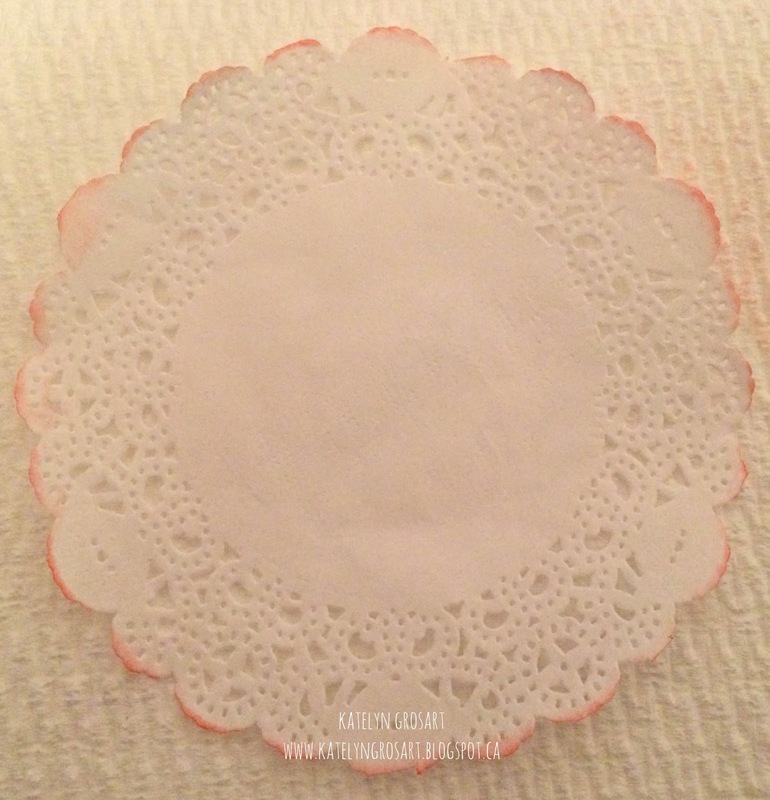 I also attached the ribbon to the wood tray before attaching the doily. The last two elements in the bottom right floral bunch was the crystal hat pins and the pink flowers. Thanks for taking the time to check out my "Happy Easter" Wood Tray. Stayed Tuned for some more inspiration next week!